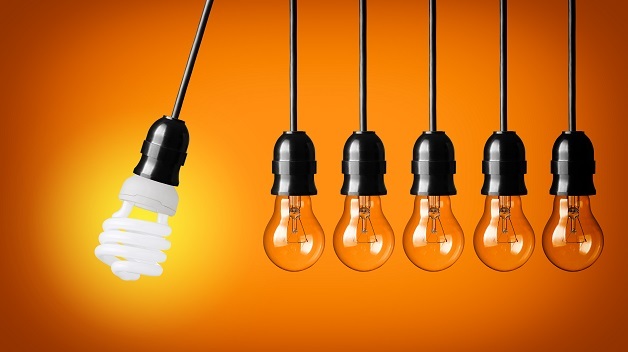 Miami Law has been awarded high rankings for innovation and the Spring 2019 schedule of programs and specialized courses continues the law school’s state-of-the-art programming in legal education. 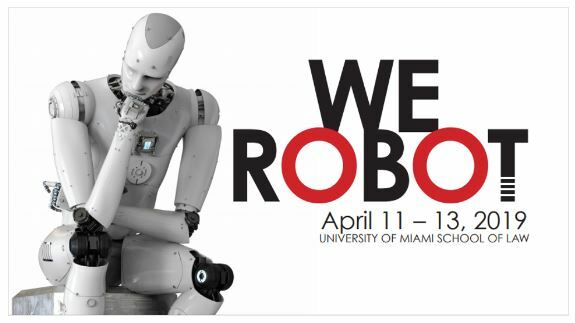 Founded in 2012 by University of Miami School of Law’s Professor A. Michael Froomkin, We Robot is the most exciting interdisciplinary conference on the legal and policy questions relating to robots. Since its inception, this conference has been hosted biyearly at Miami Law in 2014 and 2016 and returns this year on April 11-13. In other years, Stanford Law, Yale Law and University of Washington Law have hosted. Individuals on the front lines of robot theory, design and development attend to discuss the increasing sophistication of robots and how their widespread deployment disrupts existing legal regimes and requires new thinking on policy issues. LawWithoutWalls is a collaborative program led by Professor Michele DeStefano that brings together students, faculty, practitioners, and entrepreneurs from around the country and the world to explore innovation in legal education and practice. Miami Law launched the program in 2010. In LWOW students from law and business schools around the world are paired up to conduct investigative research on an assigned topic to identify a problem in legal education or practice and design a team-created innovative solution in a Project of Worth which is presented at the program’s final gathering – the LWOW Conposium – which will take place at University of Miami School of Law April 14-15, 2019. Miami Law is pleased to host this second conference on the future of the delivery of legal services. On April 16-17, distinguished experts from both academia and practice will discuss likely future developments and questions arising from these predictions. Vanguards in the research of the future of law to participate include: Peter Lederer, Leo Staub, and John Flood. 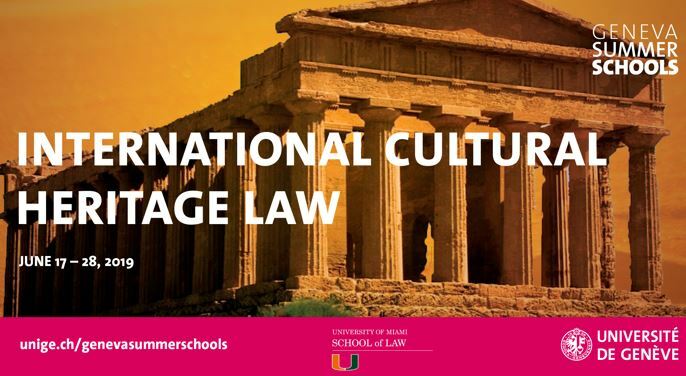 2019 marks the second year Miami Law offers this groundbreaking program in concert with a top university in Spain. Comprised of two, one-week programs, students can study the global sports and entertainment industries. This program offers a distinctive complement to many U.S. entertainment law and sports law programs in that it provides niche expertise in the areas of Latin American media production and European and international sports law. The 2019 dates are in Miami - March 11-15 (Entertainment Law), and in Madrid - May 20-24 (European Sports Law). Students and attorneys can still register for the May portion of the program. This is the second year Miami Law offers this specialized course June 17-28 in cooperation with the Art Law Centre of the University of Geneva. The two-week course develops students’ understanding of the primary legal issues of international cultural property and art law: the trade in cultural goods, the restitution of stolen/looted art and antiquities, the protection of cultural property and built heritage from natural and human-induced disasters and during armed conflict, among others. June 26-28, 2019 brings this interactive, executive-level program for compliance, risk and audit management counsel and executives from firms and corporations around the world. The innovative program is offered in conjunction with University of St. Gallen Executive School of Management, Technology and Law in Switzerland - one of Europe's leading business universities. The Compliance program will cover such hot topics as: different approaches to the management of compliance in the U.S., Canada, Europe, and Latin America; cybersecurity, data protection, and privacy; money laundering and sanctions compliance; data analytics; and regulatory and investigatory challenges in cross-border compliance. This is a program uniquely designed for attorneys and students looking to improve their legal English language and lawyering skills. From July 15-26 participants will be able to: improve their legal English speaking and writing proficiency, build a foundation of basic U.S. legal skills, and gain an understanding of U.S. legal education and the law school experience. This Spanish-only program is for foreign-trained attorneys looking to develop context and practice in international comparative law. Offered in conjuction with Beranger Consulting Group, the program takes place at Miami Law from July 29 – August 2. For more information on any of the above events, contact events@law.miami.edu.